In mid October, we went to New York and stayed with friends at their cabin in the Catskills. The town is a charming little hamlet called Phoenicia. Its just a few miles from another town known as Woodstock. Their cabin, called Bear Cottage, is absolutely charming and is available through air B and B. The last time I was in that part of New York, I had come to a little concert up a little further north of there. My girl friend from the City called me and told me I should quit my summer job in New Mexico and get myself up there. Well, I had pretty much finished my work in Albuquerque, so I thought "why not"? Within hours, I was on my way back to Amarillo where I borrowed an American Express card from mothers sisters husbands younger brother. I have no idea why he did it, but he did. Remarkably, in a few days, I was landing in upper New York state and on my way to meet my girl friend and head to the concert. Oddly enough, after we met up, we never made it to Woodstock. So all my life I've told folks that I went to Woodstock. I just didn't get there. It was 1969. 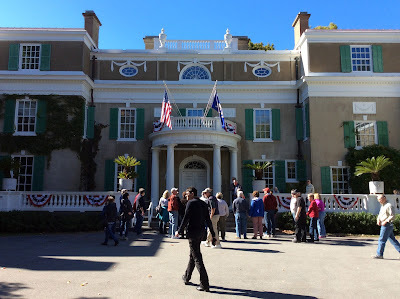 While we were there, we made a big day trip of going to Hyde Park and to the home of FDR. Here at Springwood, the 32nd president of the United States is buried in the rosegarden with his remarkable wife and partner cousin Eleanor. 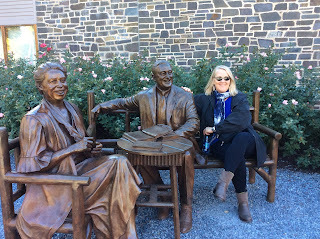 As luck would have it, we were there on Eleanor's birthday, so we got see other Roosevelts while visiting. 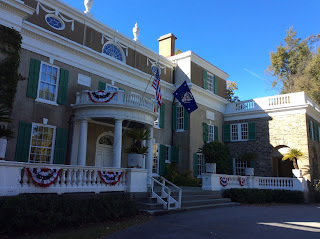 We toured the house and the presidential library and even went over to Val Kil cottage which was Eleanors's hide away from Franklin's mother, who as a Deleano, inherited perhaps 10 millions dollars in the early 1900s when her father passed on. 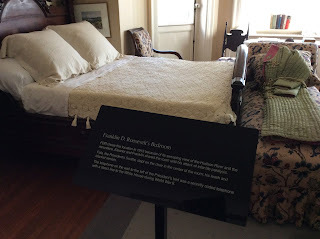 Roosevelt was born in 1882, to an old, prominent Dutch family from Dutchess County, New York. He attended the elite educational institutions of Groton School and Harvard College. At age 23 in 1905, he married Eleanor Roosevelt, with whom he had six children. 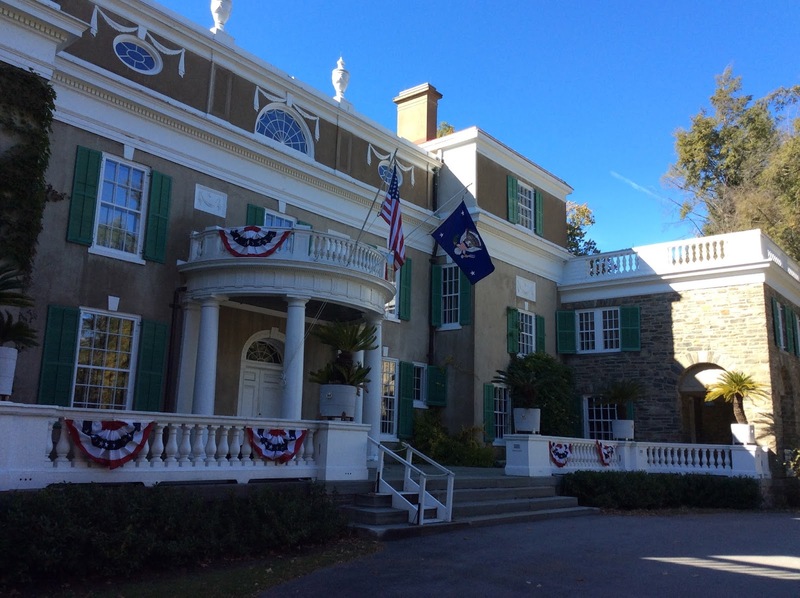 He entered politics in 1910, serving in the New York State Senate, and then as Assistant Secretary of the Navy under President Woodrow Wilson. In 1920, Roosevelt ran for vice president with presidential candidate James M. Cox, but the Cox/Roosevelt ticket lost to the Republican ticket of Warren Harding and Calvin Coolidge. Roosevelt was stricken with debilitating polio in 1921, which cost him the use of his legs and put his future political career in jeopardy, but he attempted to recover from the illness, and founded the treatment center for people with polio in Warm Springs, Georgia. After returning to political life by placing Alfred E. Smith's name into nomination at the 1924 Democratic National Convention, Roosevelt, at Smith's behest, successfully ran for Governor of New York in 1928. In office from 1929 to 1933, he served as a reform governor promoting the enactment of programs to combat the Great Depression besetting the United States at the time. Here is this great man that was much bigger than life...he was after all on the dime when I was growing up. 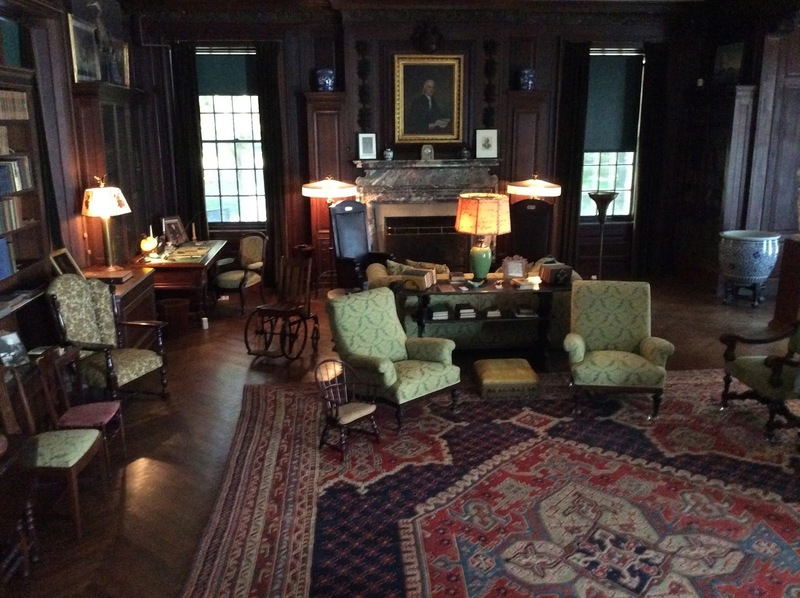 As we toured the house, I couldn't quite get over seeing his home, his bedroom, and the giant living room where many fireside chats were delivered. The home is nice, very nice, but not ostentatious. 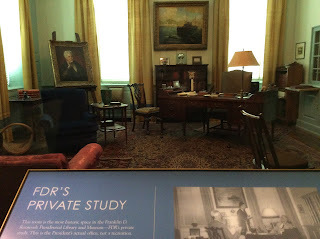 But what stuck with me was seeing his bathtub, the bathtub where FDR probably took thousands of baths in his lifetime. He was born in that house. There is probably FDR DNA all over the place still. One of the bedrooms was slept in by not only King Edward but also Winston Churchill. It was nice but not royal. When we went outside, one of us said, "that house was a HOME"
FDR actually was the architect of the rather large addition that doubled the size of the house when he was a young man. The FDR story is a remarkable story but his victory over the Depression and over the Axis powers was foreshadowed by his remarkable spriritual victory over POLIO. 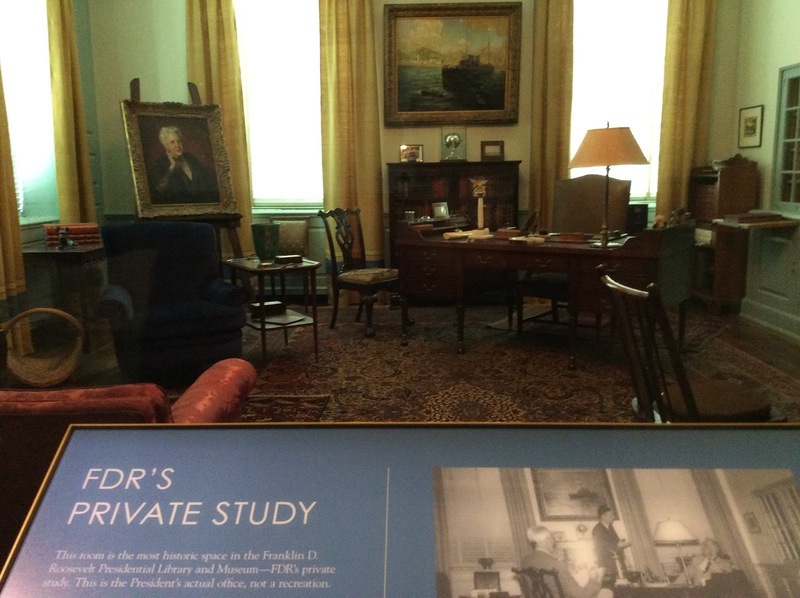 After touring the house, we went through the presidential libary, which unlike other presidential libraries, was built while FDR was still president. 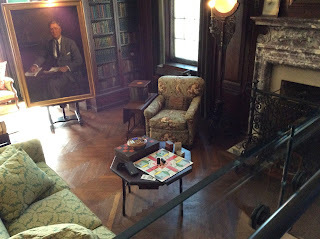 He actually had a private study in the library. Later we went to the gift shop. I bought some campaign pins from his third run for office. They said I want Roosevelt...Again.